Let's celebrate the arrival of the spring [rain] the best way possible: Kubernetes Meetup! 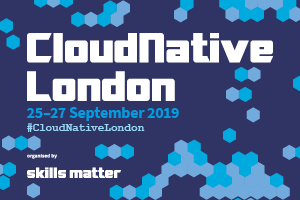 We will kick off the night with a trio of speakers: James Strachan, James Rawlings and Rob Davies, the project leads for Jenkins X, an open source CI/CD solution for modern cloud applications on Kubernetes. As you would expect: they will talk about all cool things you can do with Jenkins X on K8s. We will move on to a talk given by Andrea Wong, DevOps consultant, currently working on a PaaS project leveraging K8s at M&S. She will tell us all about extending K8s API. Expect to hear lots about CRDs and API aggregation. After a short break we will kick off the second part of the evening with a short talk by James Lawrence who will talk about cloud provider migration. We will finish the night with a talk by Apurva "Apu" Chitnis, from Improbable.io. Apu will talk about project kEdge: Kubernetes Edge Proxy. In a Cloud Native world which swarms with all kinds of proxies, this one makes for a really interesting addition. Don't miss it! I work on Jenkins X building next gen CI/CD platform on Kubernetes. Automating the world one pipeline at a time. DevOps consultant, currently plying her trade at M&S. She enjoys all things Linux, K8s, and get Go-ing. When she is not working, she can be found busy conquering the world in Civilisation over a few glasses of nice dessert wine, or out wandering with her camera. 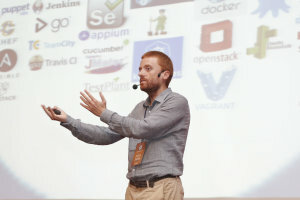 James is currently Head of DevOps at Nutmeg. He has previously worked. He enjoys container technologies, automation and long distance cycling. Apu is a SW Engineer at Improbable, working on the Infrastructure team. He helps build a world-class platforms for running massive online multiplayer games. He enjoys networking, K8s, and building distributed systems.